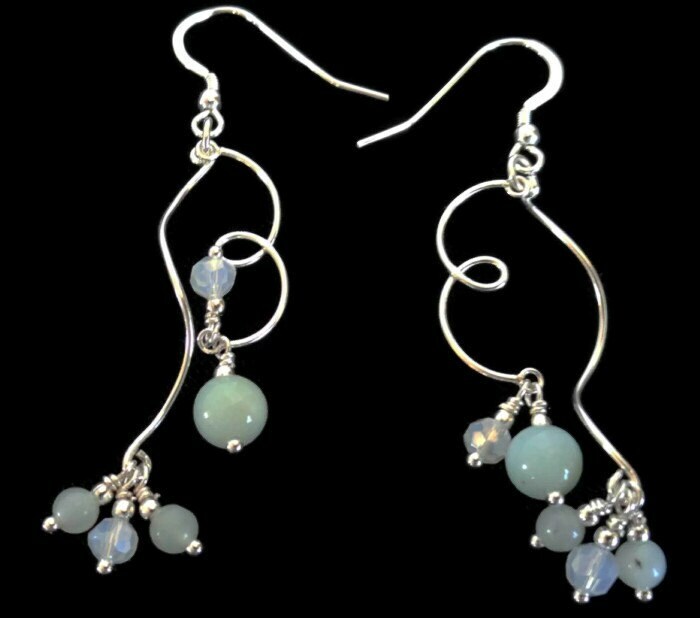 Dainty but fun sterling silver drops, one wavy, and one looped display 6mm and 4mm Amazonite beads with Czech glass opal highlights. 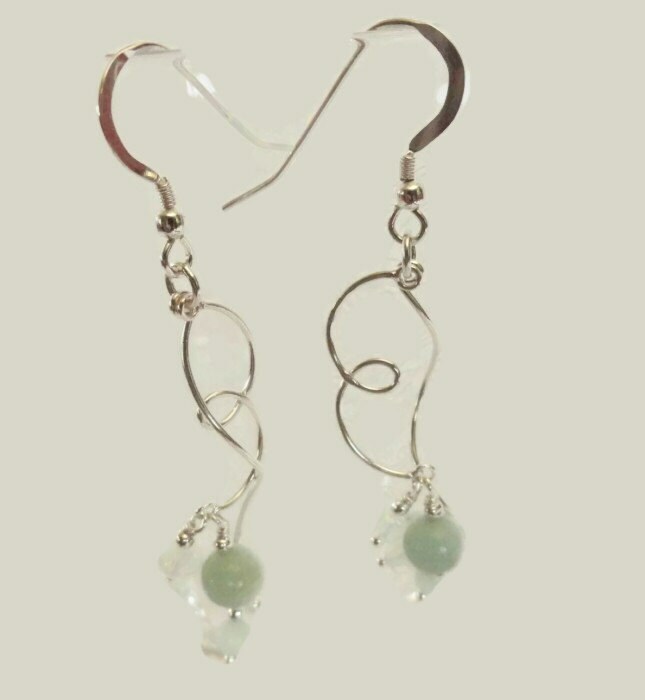 Sterling silver earring wires. 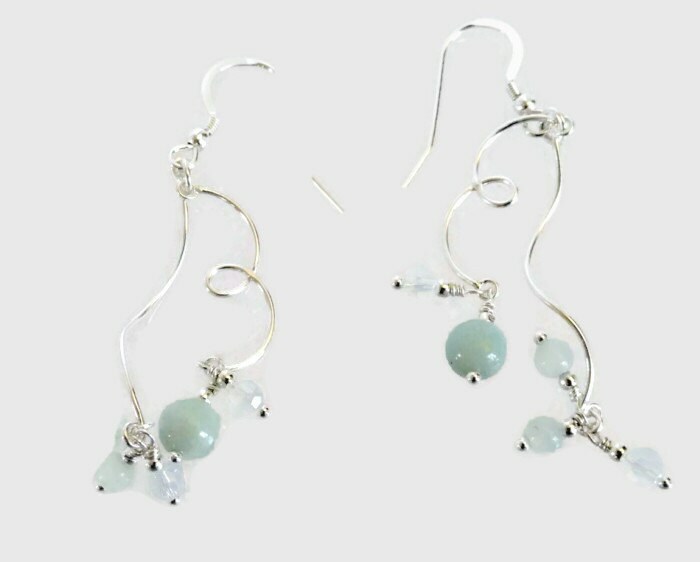 Amazonite is a light green to light bluish green feldspar and is sometimes erroneously referred to as 'Colorado jade' or 'Pikes Peak jade' because of the close resemblance. Amazonite's appearance is very distinctive with its grid-like, mottled, green and white pattern with a very faint sheen adding to its uniqueness.